Join this Saturday and experience it. Jaipur toastmasters club is all set to make you laugh till your soul dances with ecstasy. 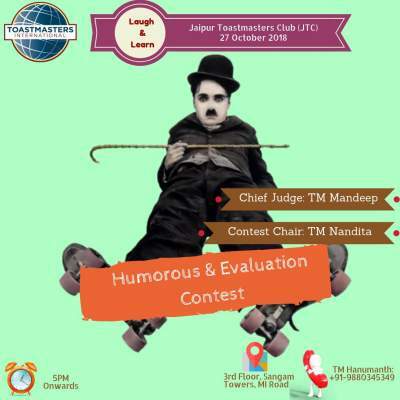 Jaipur toastmasters club invites you to join us on humorous and evaluation contest on this Saturday.